The Email Institute, powered by Epsilon, was founded with the purpose of educating marketers on email marketing best practices and how it intersects with other channels (Mobile, Social Media, Brick and-Mortar, Catalog, etc). This is not a news site. This is a best practices site. You will find articles from around the industry that focus on how to make you a better email marketer either by pointing out how-to information on a specific subject or showcasing other company’s email marketing efforts. 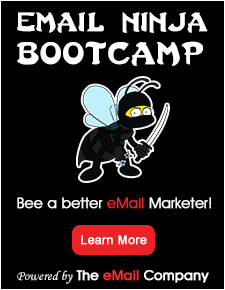 Email Institute will also showcase premium Webinars, events, White papers, and Epsilon primary research and benchmarks to provide in-depth information strategically targeted to increase your email marketing acumen.